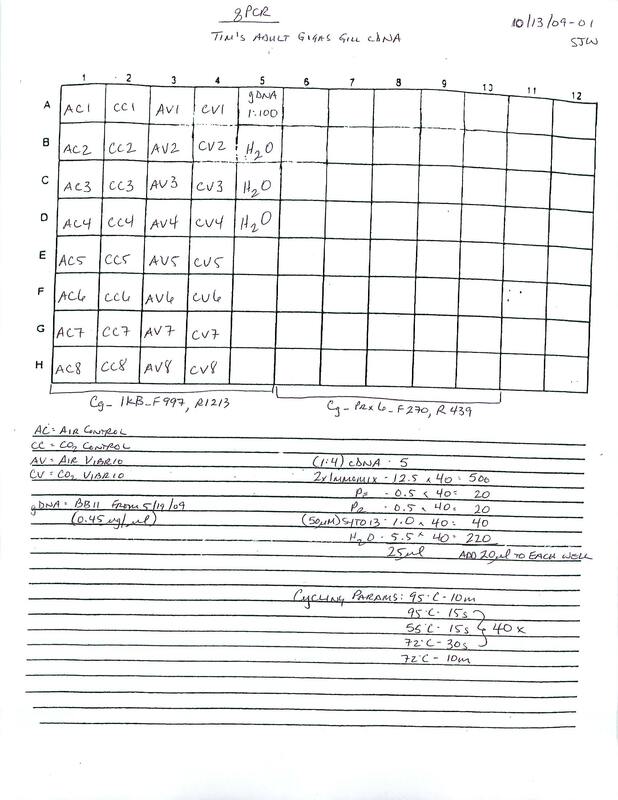 Used COX primers (SR IDs 1060, 1061) and cDNA from 20080327, which consisted of 7 control gigas gill and 7 vibrio-exposed (24hrs) gigas gill samples, labeled as C# and VE#, respectively. The experiment was a 24hr. exposure live Vibrio vulnificus, parahaemolyticus Cf = 2.055×10^11 (6.85×10^7 Vibrio cells/oyster). 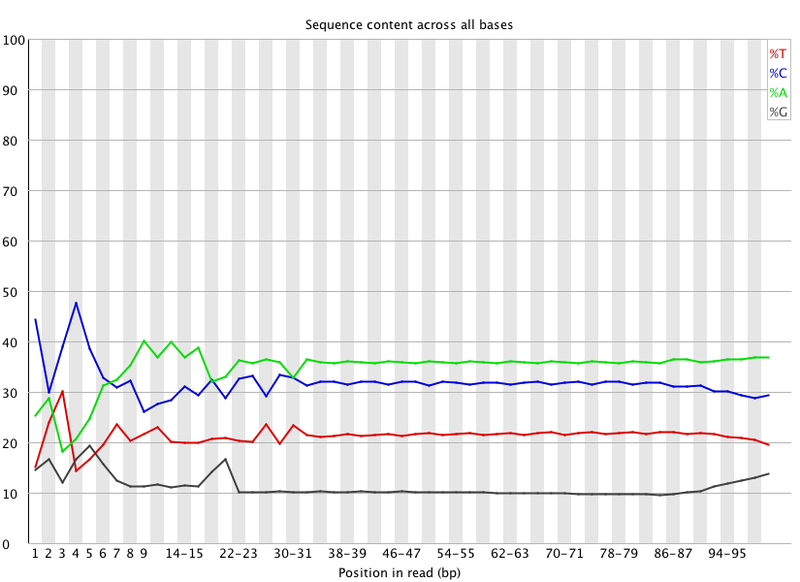 Note: Used a free sample of 2x Brilliant III Ultra Fast SYBR Green QPCR Master Mix (Stratagene) for this qPCR. Mixed components and set up cycling params according to the manufacturer’s recommendation for the BioRad CFX96. Master mix calcs are here. Plate layout, cycling params, etc. 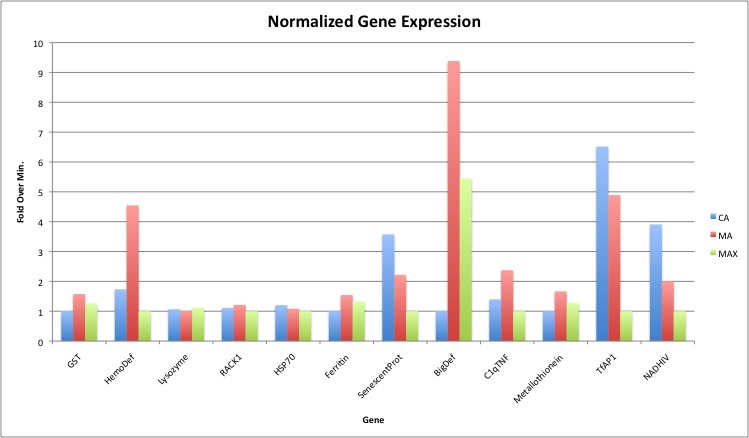 can be see in the qPCR Report (see Results). 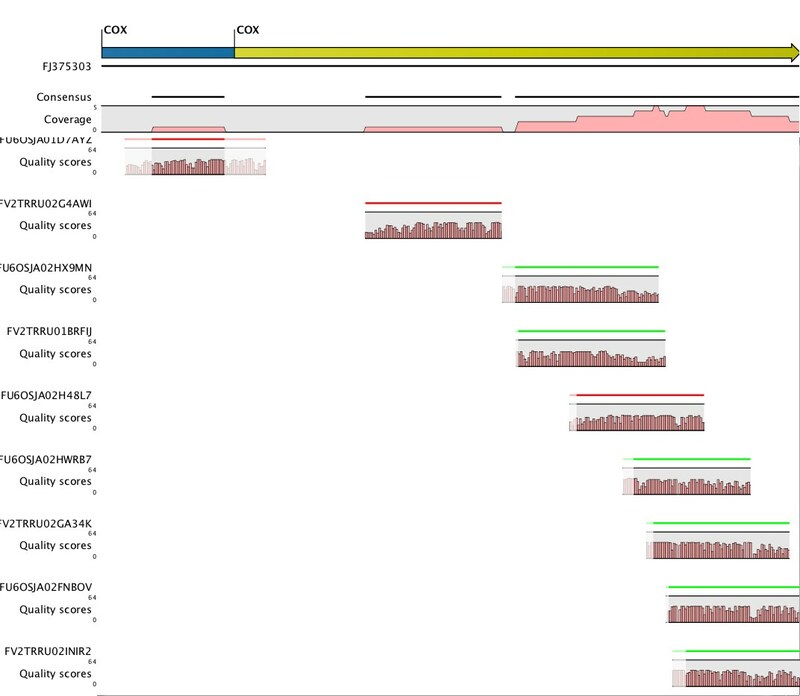 PCR Miner analysis is here. 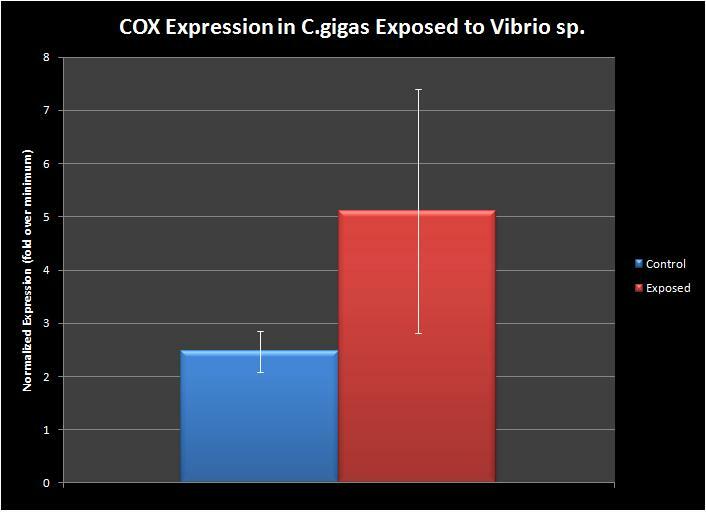 There appears to be an increase in COX expression in samples exposed to Vibrio sp. (see graph below), however, I have not determined if the results are significant. Distributed 50uL of FAM calibration dye to wells. Ran out of dye!! 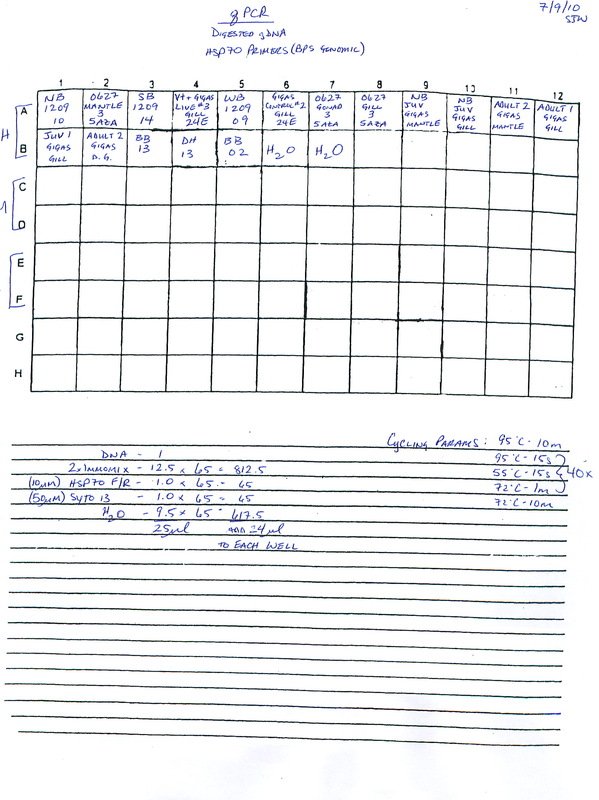 Looking back at old purchasing logs, it turns out we need 2 orders of dye packs to have enough for a 96-well plate. Will cap existing plate with dye, wrap in foil and store @ -20C. Ordered an additional pack of dye (Cat# 10006046; not available online, must call BioRad to order). Will ship on Monday. 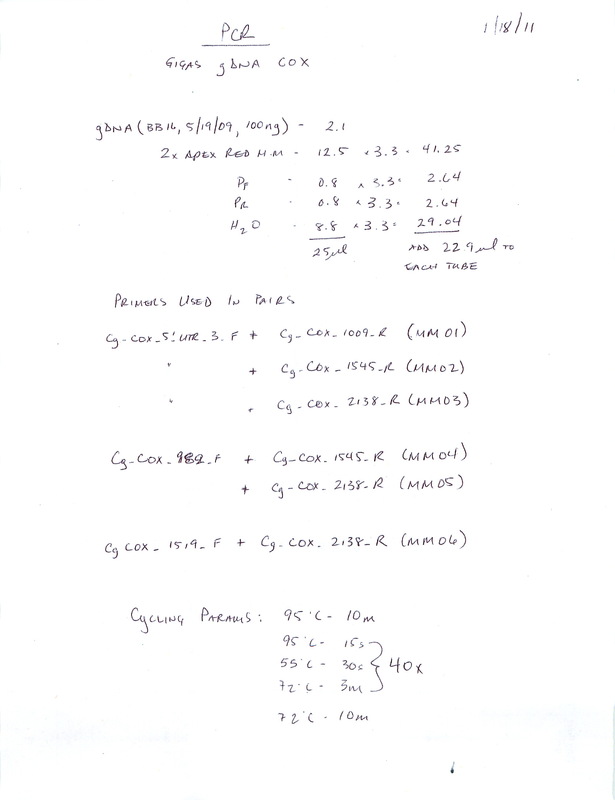 Will finish calibration procedure on Tuesday (20100928). Ugh. After running the calibration protocol with the dye, all the wells should show consistent fluorescence levels. Clearly, they do not. Oddly enough, there appears to be a cyclical pattern across the wells of low -> high -> low fluorescence. The calibration protocol advises that if the wells do not exhibit consistent fluorescence across wells, then the plate should be read again. The graph above is the 2nd reading, which appears to be the same as the 1st. Conclusion is that the Opticon 2 is not working correctly and will contact BioRad for price quotes on repairs. 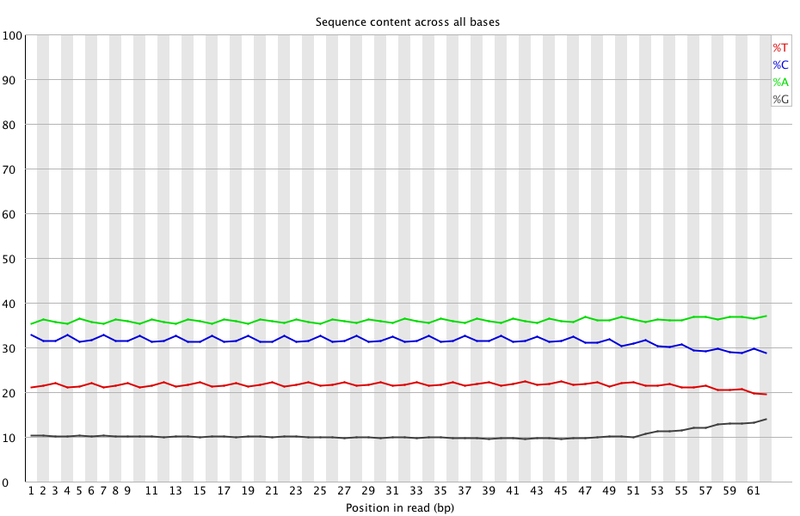 Set up qPCR with Cg_P450 primers and TNFRAF3’/5′ primers. Plate layout/setup is here. 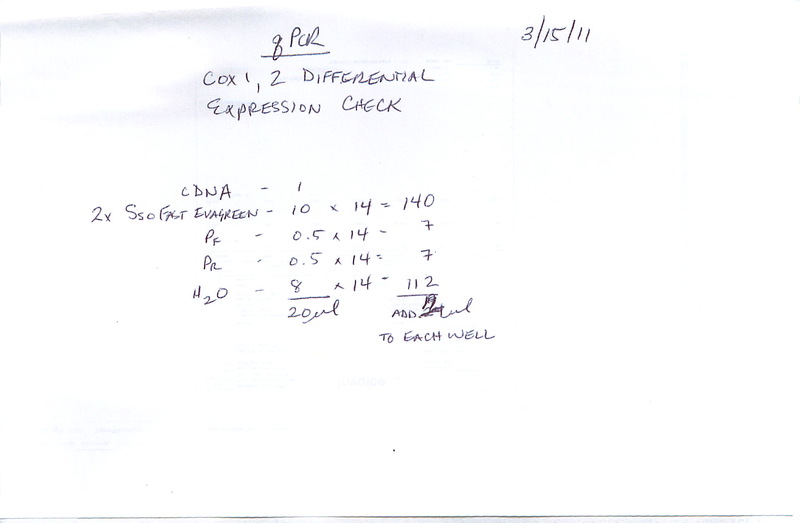 Results: Processed with PCR Miner. Normalized to EF1. Standard Error bars. 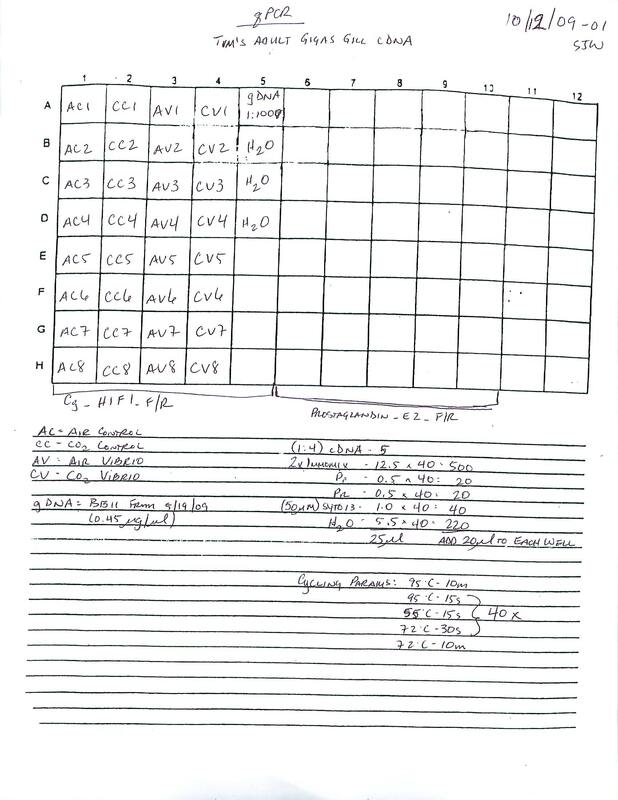 Here is spreadsheet with workup. 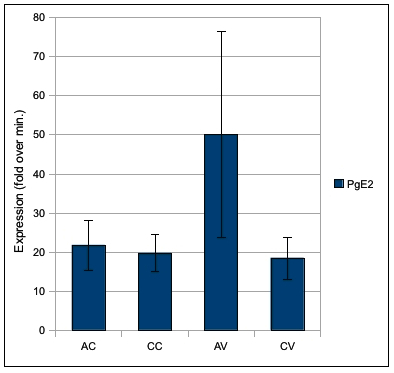 P450: The two control samples (AC & CC) show significant difference in expression between the Air and CO2 treated samples. 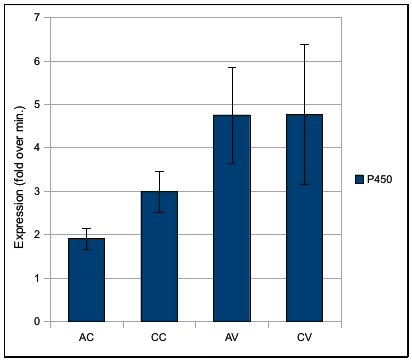 The Vibrio treated samples (AV & CV) show no difference in expression between Air and CO2 treatments. 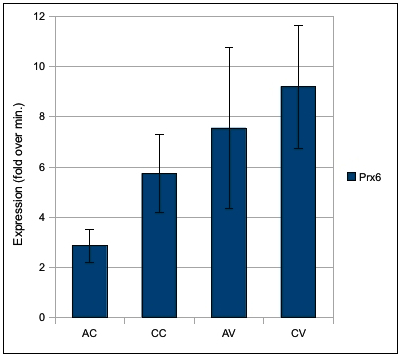 The Air samples (AC & AV) show significant difference in expression between the Control (AC) and Vibrio treated (AV) samples. 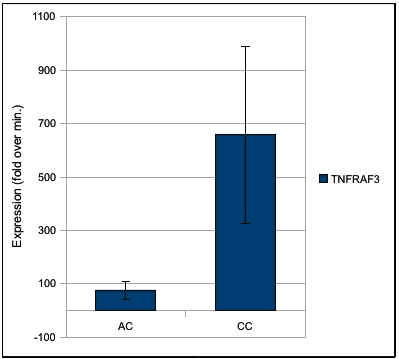 TNFRAF3: Expression levels of the Vibrio treated samples (AV &CV) were too low for Miner processing. 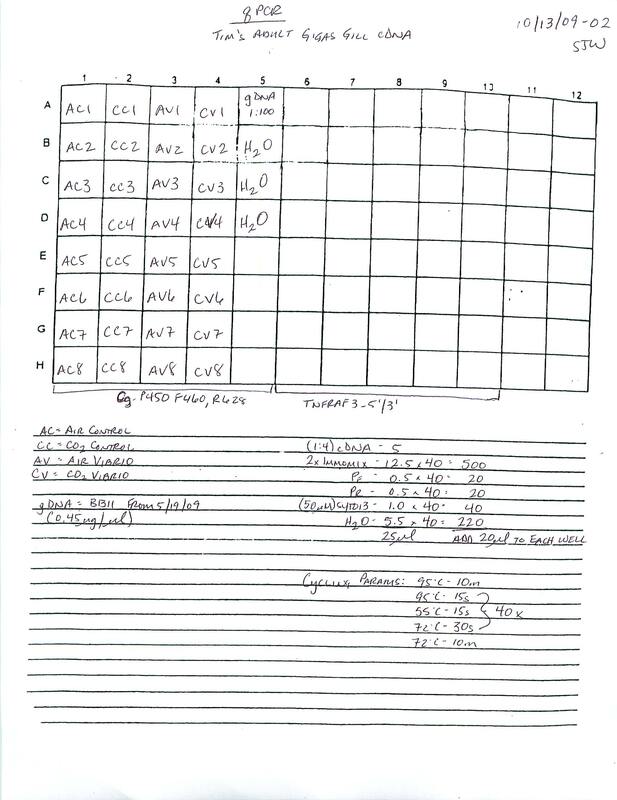 There are significant differences in expression between the Air (AC) and CO2 treated (CC) samples. Set up qPCR with Cg_IkB primers and Cg_Prx6 primers. Plate layout/setup is here. No difference in expression between Air (AC & AV) and CO2 (CC & CV) treatments. Appears to be a significant difference between the Air Control (AC) and the Air Vibrio treated (AV) samples. Significant difference in expression between Air Control (AC) and CO2 Control (CC) samples, but no difference in the Vibrio treated samples. 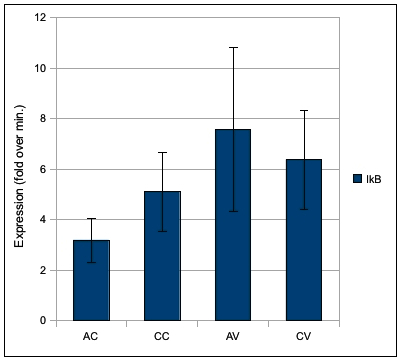 Significant difference in expression between the Air Control (AC) and the Air Vibrio treated (AV) samples, but no difference in the CO2 treated Vibrio samples (CC & CV). 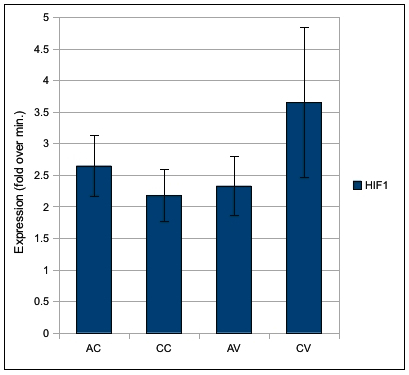 Set up qPCR with Cg_HIF1 (hypoxia induced factor 1) primers and prostaglandin E2 primers. Plate layout/setup is here. No significant differences between any treatments.